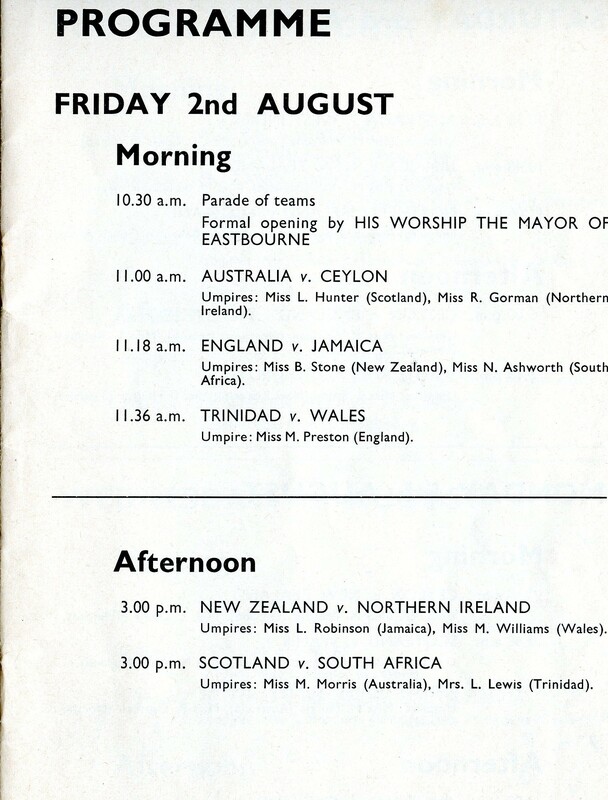 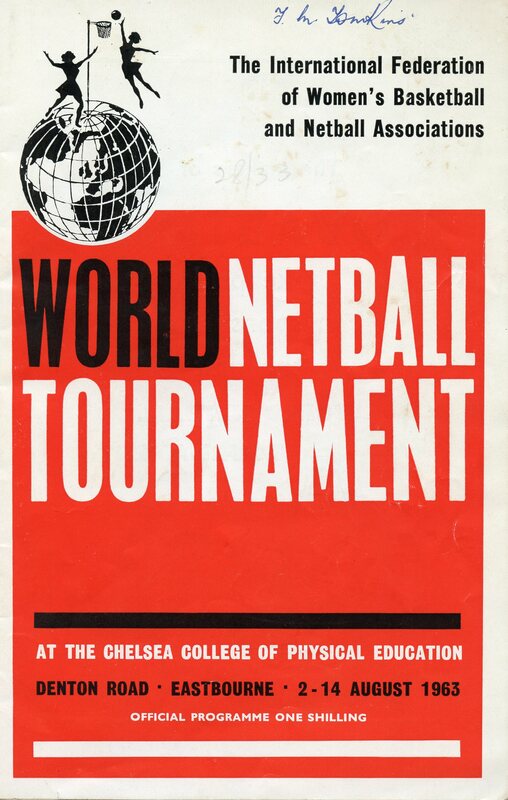 The very first World Netball tournament was held in Eastbourne at the Chelsea College of Education in August 1963. 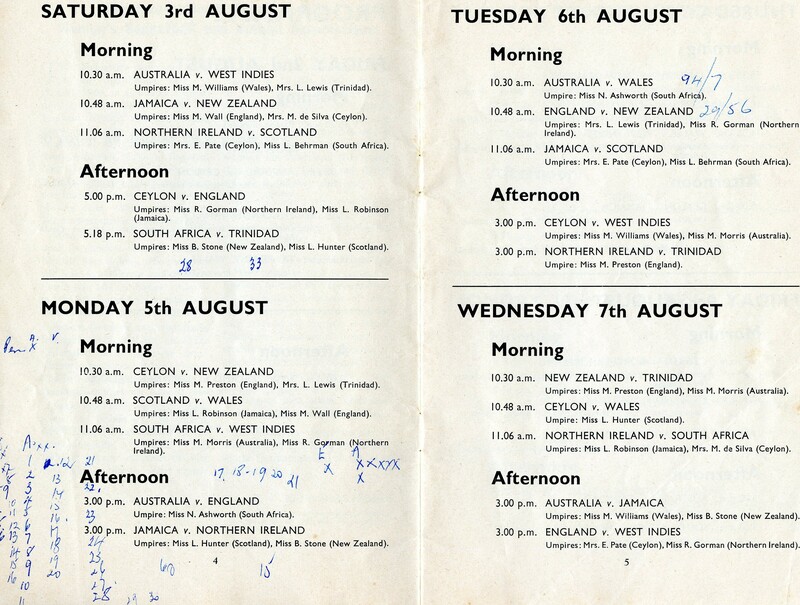 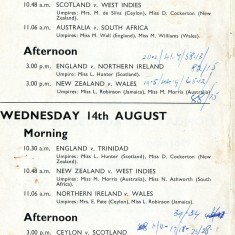 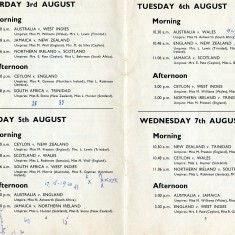 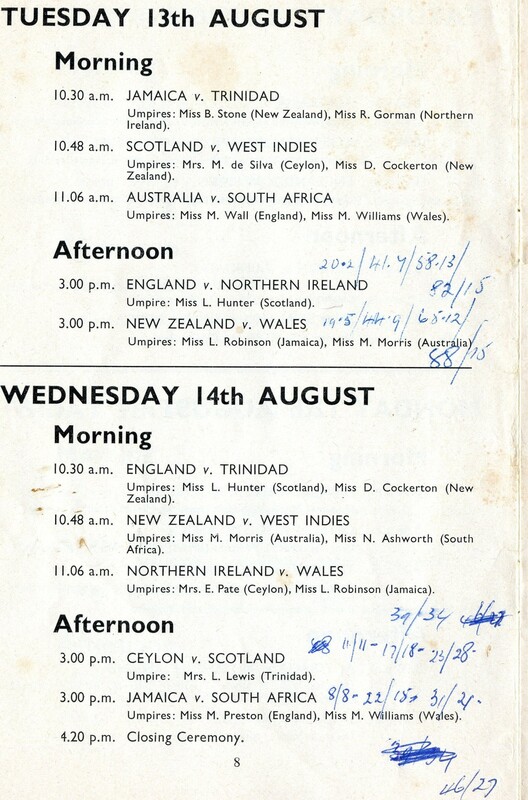 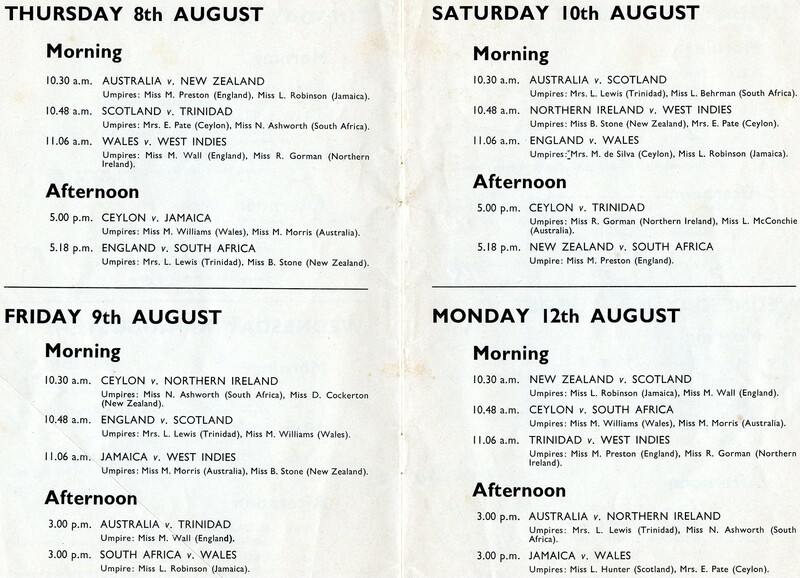 In the pictures here you can see the programme for the tournament and the order in which the teams played. 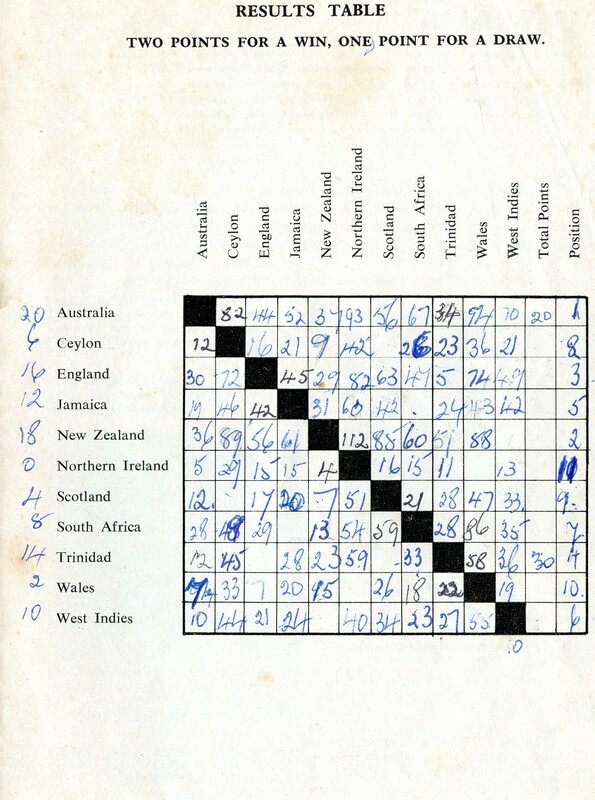 Unlike modern competitions, this was not a knock-out tournament, but each team played all of the other teams and points were awarded on the basis of the scores. 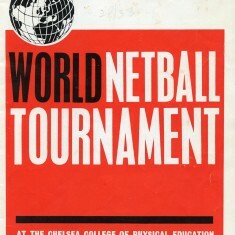 Two points were awarded for a win and one for draw, and the highest scoring team won the tournament. 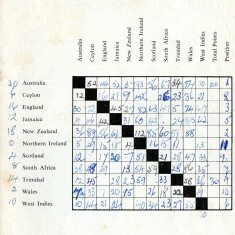 The final picture shows a completed score sheet from the same programme. 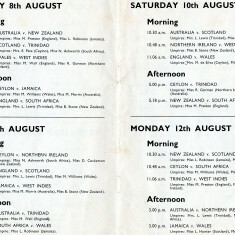 This shows that Australia won the tournament, New Zealand came second and England came third. 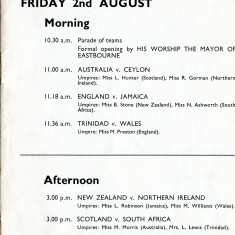 The programme page showing a completed results table.